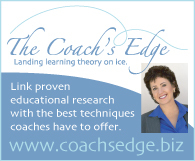 An interview with Lorin O’Neil, member of all three ice shows (Ice Follies, Holiday on Ice and Ice Capades), coach, choreographer, and technical specialist. 1 hour, 23 minutes, 13 seconds. On his most embarrassing skating moment: It was 1961, and I had joined with Ice Capades knowing they were going to Russia. It was the first cultural exchange with the Soviet Union. We stayed in Moscow for two and a half months, and we were doing this huge production of Babes in Toyland. And there was the elephant number, with these seven-foot-tall pink elephants. So the star of that was Doug Austin, who still teaches here in Ontario [California]. And he was the prima ballerina elephant and he would get into this huge costume — it was supposed to weigh 105 pounds but I think it was closer to 60. So he got very ill, and I was doing one solo in this show, and they came up to me and said, well, we see you sitting around, could you replace Doug? And I said, sure, how hard can that be [laughs]. So I got into this costume, and it was the size of a closet. And your eyes were where the mouth was on the elephant, and the trunk fell down in front of that. So the only way you could see was to sway your head and look from side to side. So I was nervous. We got out there, and at the end of his number he was down ice, and he would do a spin, and then he would skate very fast. And as he went through the centre he would do a Charlotte [spiral] with these huge stubby legs, and the trunk dragging on the ice in front. And then he would stop at the curtain. So it’s opening night for me, and all of the Russian newsreels are there, and 18,000 people in the Winter Palace. So I do my spin, and I look and there’s the trunk hanging, and I can’t really see, so I push really fast and I’m going into my Charlotte and come up to do my ta-da, and there’s the curtain at the other end of the rink. So just as I come up I put my toepick in, right in front of the railing where the photographers are. My legs went out from under me and I took out six newsreel cameras. And I was in my underwear. I was in less than my underwear, actually [laughs]. So when they pulled that head off, I just knew that I had to act unconscious. I was burning with embarrassment I was so hot. And they carried me off. And backstage I was mortified because I said, how bad can this be? On training at the Blue Jay rink at Lake Arrowhead as a young skater: We’d go up on Saturdays, two or three times a month. John Beeler, he was a wonderful judge who was with the Blade and Edge figure skating club in Pasadena, he himself would skate. He was the Richard Dwyer of the 30s and 40s, he would wear a tuxedo and skate in all the ice shows. He had white hair and he drove a big Bentley. So I would go up there and he would teach me skating. And in the summer, the whole Sonja Henie ice show would practice there. So Michael Kirby was there, he would be teaching Ronnie Robertson. And Sonja would come in. Mr. Mickler, who was my coach, he was her partner, and after Sonja stopped being coached by her dad, he was her coach too. On movie stars who skated: Virginia Vale, she did a lot of film noir in the 40s, detective things. She became a national judge. All the Nelsons skated, Ricky Nelson, Harriet Nelson. Harriet liked to give the trophies at the competitions. I have a picture of her giving a trophy to Richard Dwyer. Debbie Reynolds used to come in because Tab Hunter was there, he was a novice man, and he used to skate pairs with Joyce Lockwood. He was second at national novices and I think they were in juvenile pairs. And Johnny Mathis, he used to film at Paramount and then come to the rink on his bicycle. He loved skating and he loved the skaters. He was a really decent gentleman. And Anita Louise, her mother was a skater, an adult skater. There was some money there and they would help the skaters. Anita Louise used to buy dresses for the skaters. On working with choreographer Bob Turk: He competed a bit but never completed his amateur career because he was so creative. He was starring on Broadway in ice shows, and those were very elite shows. They had some of the best skaters in the world, and most of them never competed or took a test. He came back to Hollywood and started choreographing for people, and he had two shows. He had an ice show on KTLA in Los Angeles called Frosty Frolics, and then he was the director and choreographer for a dance show on local TV, Polka Hour or something. And then he decided he would do some teaching. This was in the early 50s. So he became the choreographer for the coaches at the Paramount rink. And then Peggy Fleming started skating, and he choreographed all of her best numbers. Now he lives in Palm Springs. He called me up a few weeks ago and said, I can’t believe I’m 83 [laughs]. On nerves: They play a big part in this sport. And that’s what coaches have to deal with. The people who enjoy skating, if they’re lucky, they’ll set a goal and they become enthusiastic. And then you start leading them through this maze, and as they get higher in the sport, the nerves really do set in. 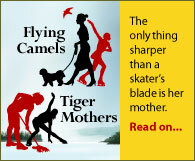 On skating professionally in three different shows: My mother had a terrible accident and had brain damage. And there wasn’t any medical insurance. So I dropped out of UCLA, and Ice Follies was an option. Richard [Dwyer] needed a backup because he had a really bad back. Ice Follies doesn’t have a male chorus, you sign as a star, so I signed. The Canadian champion, Eddie Collins, he got sick, so I learned his jazz number. And I did it for 28,000 people in Chicago, and I loved it. I loved to perform. So that was that. And then Eddie came back and I was standing around again [laughs]. So I told them, that’s it, and they said, but we have plans for you. And I said, well, I really can’t wait. So I went back to UCLA and starting teaching. And then I heard some news about Holiday on Ice and how fun and exciting it was. So I auditioned and they signed me. And then I heard about Ice Capades going to Russia [laughs]. But they [Holiday] never sued me, they were very nice about that. So I went with Capades and that was great. On the differences between the three professional shows: I always liked Follies because the costumes were great and it always seemed clean. But when I joined it, it was a cross between – when I left, Frank Carroll did that number with Betty Jean Clark where they were chained together. So there were people I respect that were in the show. And I think as kids we saw that sort of wholesomeness. But when we got into it, it was somewhere between the Stepford Wives and The Matrix. Betty Jean, she was a friend of mine, she took [lessons] from Gene Turner, and she was in the chorus. I kept thinking, you know, that’s not right, she should be a star. So when Frank joined, they decided they were going to do a novelty number. It was very slick and very wonderful, but I noticed that there was very little interplay between [the stars] and the chorus. The exception was Mr. Frick, he was very sweet. Now Ice Capades and Holiday, I didn’t tour with Holiday, but I hung out with Holiday skaters. That was the real deal. The people that owned it were willing to spend money. When you saw the chorus, and they were in fur, it was always Russian sable. And they brought in all the best choreographers, which Follies never did. It was a real education, and Follies wasn’t an education. And in Capades everyone hung out with everyone else. It was like family for me. On competing in the 1963 World Professional Championships: I was second. The winner was Michael Carrington. He was the Kurt Browning of the 1960s. He had been on the British Olympic team, and he was famous for his footwork. I knew that before I went there, and they also had a judge for each component, like one for spins, one for choreography. And I got a first in footwork over Michael Carrington. So I didn’t care that I came in second [laughs]. It was at Wembley Stadium [in London] and it was huge. One of my judges was someone I was in love with when I was 12, Jacqueline du Bief. She came up to me backstage and said, I was one of your judges, and she said, you should have been first. But they had to give it to the Englishman [laughs]. On working in the new judging system: The sport is always changing, and you’re either with the program or you’re not. I’m a technical specialist, and I told the officials, I signed a letter saying I’d give back to the sport, but you know what? Every time I’ve done an event, I’ve gotten so cold that I’ve gotten sick. I’ve always been an athlete, I still skate and demonstrate, but it’s so cold sitting there. And now that I’m in the judges’ room, I say to them, you know, thank you, thank you for being there. And I really mean it. On what he plans to do next at age 70: I was toying with the idea of speaking out about some issues, but some people just can’t handle it. And when you bring something to the table, and there are young people sitting there, you absolutely cannot assume that they know what you’re talking about. And that’s been very difficult. So I’ve been mentoring coaches, in a kind way, and enjoying it. And I’m team teaching with wonderful people. I’m working with Phillip Mills and Scott Wendland, and with Danielle McGrath, who’s a two-time Olympic pair competitor from Australia. I take all my students seriously, if you find skating and you think it’s what you should do. But I drew the line with an 86-year-old man who wanted to join a group I put together. He looks good, he looks 59, but I said, if you broke a hip, I would feel terrible. So I draw the line at 85, I guess [laughs]. What ever happened to Mike Carrington after he went to USA in1965? Next post: My podcast got a mention!